Vehicle accidents can happen anywhere. 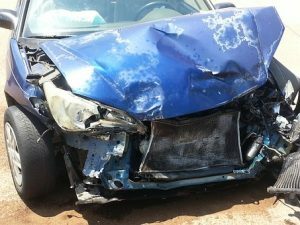 Serious accidents can occur on busy freeways or on back roads of smaller towns. Some car accidents can cause severe injuries, and the impacts of these accidents can be life-changing. On May 23, the Worcester Police Department received information about a multi-vehicle accident. The accident involved minor injuries. However, none of the injuries appeared to be life-threatening. The accident occurred on the 200 block of Shrewsbury Street around 1 p.m. Upon arrival at the scene, emergency personnel administered medical care to the victims and took statements from those involved. The extent of the injuries is still being determined, but no fatalities were reported. Vehicle accidents often cause severe injury to victims. It is essential for the safety of everyone on the roads that all drivers remember to drive safely and attentively. When drivers act negligently, they are putting themselves and others at risk of injury. We at the Law Offices of Jeffrey S. Glassman are concerned members of this community, and we are committed to making our roads safer and raising awareness of the importance of safe driving. However, we know that accidents can and do occur, and, when they happen, we want to do what we can to help victims receive the assistance they need so they can focus on recovery.